Add to your blues toolbox! 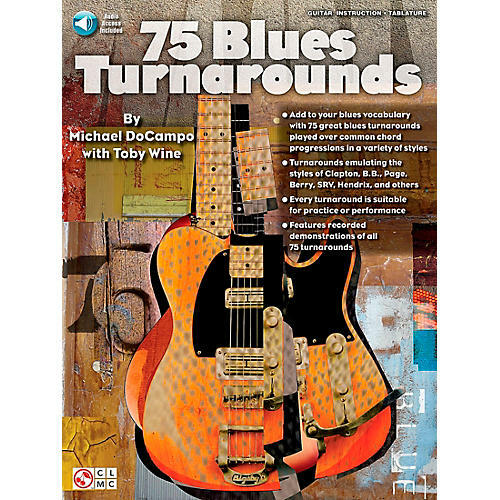 This book/CD pack teaches 75 turnarounds over common chord progressions and in a variety of styles, including those of blues guitar greats like Albert King, Johnny Winter, Mike Bloomfield, Duane Allman, Jeff Beck, T-Bone Walker and others. Excellent material for performance and practice, with detailed info for every example. The accompanying CD includes recorded demos of all 75 turnarounds to make learning easy!